A Public Address Speaker System or PA speaker system is used for effective communication in large gatherings. Like other equipment, it could malfunction unexpectedly during set-up, sound-check, and the event itself. The good news is, knowledge of the common faults of PA speaker systems and skill in identifying and fixing PA speaker problems would prevent audio accidents and wasted time during events. When signal lead is not connected to a processor on a channel insert, the signal path gets interrupted. For equipment that uses radio signals like in-ear monitors, a “virtual signal path” must be established by setting the transmitter and receiver to the same frequency. Another common PA speaker system problem is a signal path with no power. Flat batteries, disconnected power cables, and switched-off power source are common causes of the problem. Signal flow ends when outputs are muted. Accidentally pressing the mute button during an event or performance could make a PA speaker system appear to shut down. Gain is the loudness level sent into plugins and amplifiers. It refers to the input level of the clips while volume is the output. If the group, main faders, or channel are muted, or the power amplifiers are turned down, no sound will come out of the speakers. When half of the main speakers or monitor system is not working, the most common culprits are the improper connection and broken cables. The multiple cables needed for PA speaker systems to work could confuse and get wired-up incorrectly. Also, Cables natural wear and tear over time as they are subject to frequent flexing. Broken cables can cause loss of signal continuity and, when it comes in contact with other conductors, short-circuit. It can damage preamplifier or amplifier stage or the console. Problems with amplifiers are caused by insufficient power supply voltage, short circuit or blown fuse. In general, a PA speaker system is reliable, but it is not beyond failure. It can break when not taken care of properly. If it has been dropped, comes in contact with water, stored in very hot conditions, and improperly handled, a PA speaker system may stop working. Use a color or number scheme to mark every signal lead and make it easier to tell which lead is connected where. Doing this would prevent improperly plugged and unplugged signal leads. Sometimes, merely turning on a power source will solve PA speaker system problems, but in some cases, replacing a power fuse is needed. When fuses break for no apparent reason, always replace them with the correct type and value. Equipment with anti-surge fuses normally has high initial switch-on current. These are marked with a ‘T’. Equipment with a quick-blow fuse will have the same current value at switch-on. These are marked with an ‘F’. If you don’t have a spare, borrow from less important equipment. Don’t forget to check the venue power supply if all else fails. There are venues that follow power-control policies, and this might mean all stage sockets are off. Be careful not to press the mute button during an event. Also be aware that if a signal is assigned to a Voltage Controlled Amplifier (VCA), the VCA fader needs to be up. Make sure that the amplifiers are turned on and that the channel, group or main faders are not down or muted. Cheap cables and connectors easily break because of having poor strain-relief quality and bad soldering, which is the process of joining electronic parts together by melting solder around the connection. Buying quality cables from trusted sources is more economical and practical in the long run. Carrying an extra amplifier as an emergency measure is ideal, but not always possible. It is therefore very important to know the specifications of the amplifiers to be able to reconfigure a faulty amplifier with different combinations of speakers. 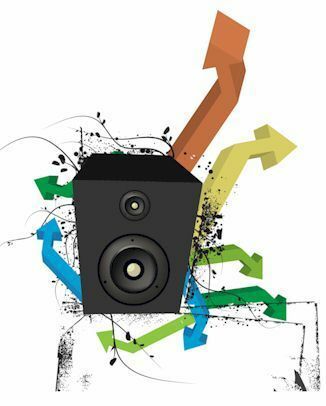 Understanding the load that speakers have on amplifiers and how the load is measured is important. To avoid mishandling the PA speaker system and destroying it, patiently read its manual. Make sure to understand how to set it up properly and how it should be taken care of. Take a closer look at your console and search for other outputs from the desk that you don’t use like unity output. As a last resort, use the headphone output. Make sure to turn down the volume half-way as headphone outputs are louder. Use one from the monitor system and bypass the broken one. The negative side of this remedy is the resulting feedback or howling sound. Make sure that all inserts are plugged in correctly. If the problem still exists, use a spare channel or a channel for an unnecessary instrument. Fixing PA speaker problems begins with describing what the glitch is. This is because the causes of audio output problems are numerous. Usually, it is not the speaker equipment that is to blame. 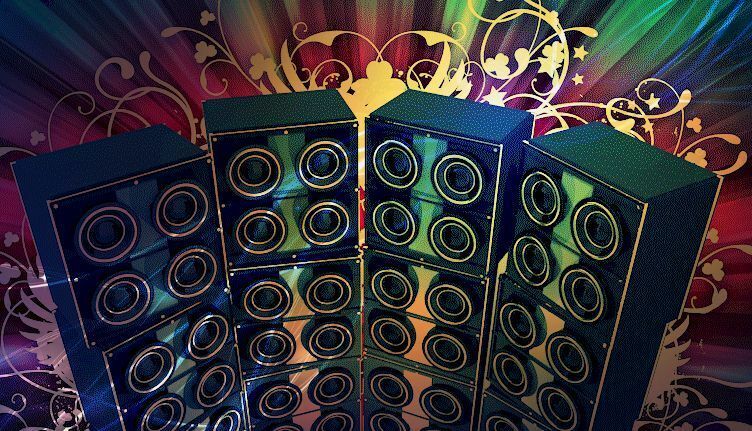 If no sound is coming out of the speakers, make sure to check that all PA speaker system components are switched on. Double check all cables and ensure that all are plugged correctly. Replace batteries as needed and put input gain higher on the mixer. Fuzzy sound happens because the distance of the speakers to the listeners affects the quality of sound. There is a split second difference when hearing a sound from a nearby speaker compared to a distant speaker. This difference could create sound distortion. When there is a fuzzy sound, redirect speakers or use additional speakers to get better coverage. When faced with a PA speaker system problem, keep calm and relaxed. Be methodical; identify the most common problems before considering the bigger ones. Find solutions objectively. Remember, there is always the PA speaker system audio store that you could visit if all troubleshooting efforts fail. Is It Possible to Power Passive Speakers without an Amp?